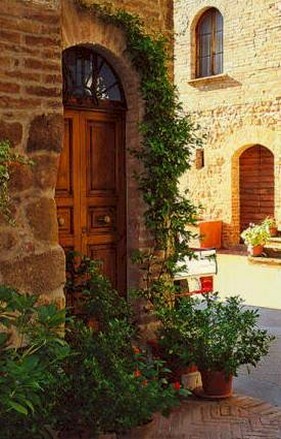 Pienza lies in the middle of the Val D’Orcia, in the south of Tuscany. During the fifteenth century, Pope Pius II, who was born there, wanted to turn that fortified medieval village into a small city. 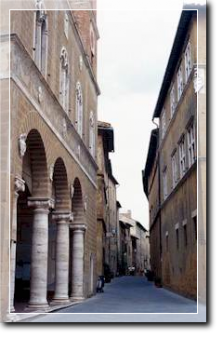 The fabric of the city widened following a regular, urban plan, where the longitudinal street or Corso Rossellino, which linked up the two main gates (Porta al Ciglio and Porta al Prato), assumed a prevailing importance. 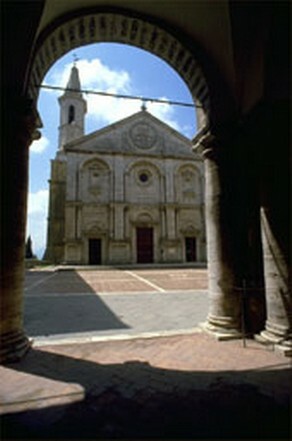 Many different palaces rose along that road, together with relevant religious buildings, including San Francesco’s Church, which is still there. Perhaps the Market Square was near the existing Palazzo Pretorio. 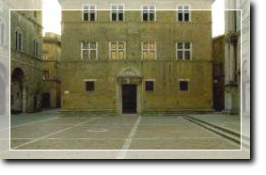 The property of the Pope’s family, who had surely an eminent role in town, took place on tha spot of Palazzo Piccolomini. 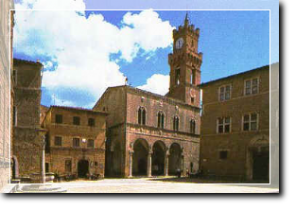 After his visit in 1459, he worked out a plan of total transformation of the village of Corsignano, the fifteenth-century name for Pienza, in order to improve it. His project consisted, not only in the building of the cathedral, the main square and his family’s palace, but also in the progressive restoration of the existing buildings. The aechitect Bernardo Rossellino, who helped Leon Battista Alberti in the Florentine works, got the task of realizing it, but achieved only part of it. In 145 works started with the construction of the Cathedral and of Palazzo Piccolomini, both placed on a rocky edge, but they respected the medieval settlement. Many other palaces were built for the Pope’s train, while twelve new houses rose near the walls, for the poor people. In the same period the town Hall was built too. 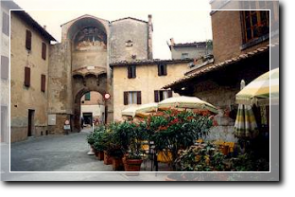 Unfortunately , the building program was interrupted by the Pope’s death (1464); therefore, the process of growth stopped and Pienza became one of the numerous agricultural villages of the valley. 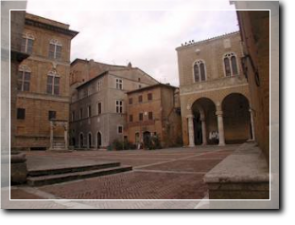 In the 16 century, during the war between Siena and Florence, the northern walls were destroyed; then, in the 17 and 18 century, the town became poor and depopulated. 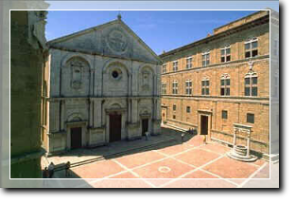 In the following two centuries Pienza didn’t progress, important to the needs and the image of the settlement. Since 1950, a growth of buildings outside Porta al Prato and beyond the via delle mura has been registered.